It is possible to find an album as bleak as this, but that would be difficult. For her third album, Shiina Ringo took a complete left turn and somewhat alienated a minority of her fans. A brave move, but one that ultimately paid off. For Karuki Zamen Kuri no Hana is an album that is challenging on every level, especially the ear drums. The album is mixed very loudly, as with most of her work, and at some points completely jars your sensibilities with it's almost surreal, Shinjuku JR rush hour type cacophony of brilliant busyness. But don't get me wrong, that is in no way a criticism of what is one of her best albums thus far. The album deserves it's reputation for it's sheer nerve alone. Shiina Ringo is a taste that could be called acquired, and that's fine with rather too many people to make acquired a suitable description. Although she has worked with many genres, she is definitely an artist you either love or hate, and has divided many a group of drunk students in an izakaya into two schools of thought. On this album, you either love it for it's unforgiving take on production and sound, or find it completely impenetrable because of that. Some critics have compared KSK, as it is commonly abbreviated by fans, to any of the big genre swap albums that have done surprisingly well. Not without reason, I'd say. KSK is definitely an album for an open mind. The sheer number of instruments used in it's short run time is amazing despite the fact this album is basically a big exercise in eccentricity in the best way, and the fact that the whole merges into one virtually unnoticably is impressive for it's genre defying to hell with it vibe. If you try and pin it down on one song , the next track will have you scratching your head again in frustration. 宗教 (Shuukyo) and begins with an almost depressing funereal drone of static that washes over Ringo's vocals making them almost ghostly mutterings in the ether and quite unsettling. Then the drums kick in, and we're off on a journey of almost religious proportions, on which way we discover jazz, sub-electronic grooves, orchestral pieces, vacuum cleaners and almost every major folk music instrument you could think of in the space of forty-four minutes forty-four seconds. Impressive is not the word. It is very true to say that to hear this album is to truly know just how much of a genius Shiina Ringo is, and this album is often named as her definitive album. But you also have to bear in mind that Karuki Zamen Kuri no Hana is an album that must be listened to rather than read about, not to disparage my own appraisal of it's virtues. That is because it is what might be called aural candy, in a very twisted way. This album is dark, although not bleak, and although there are upbeat tracks on here, they are actually underscored by darkness. An album of contrasts it is then, but you really should wrap your ears around it as soon as is physically possible. 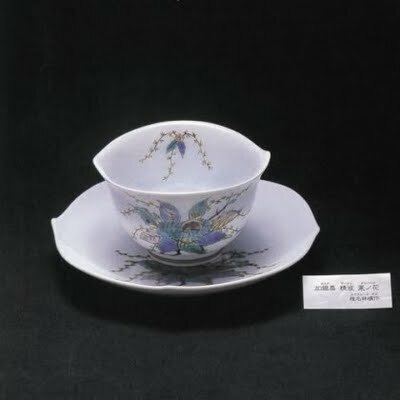 Listen out for the standout tracks やっつけ仕事(Yatsuke Shogoto), 茎 (Kuki) - original version - and 葬列 (Souretsu), the literal funereal album closer that left listeners on a cliff hanger until Sanmon Gossip was released. Reccomended to all with a musical ear and an open mind.